Wendy W. Lee, M.D., M.S., Assistant Professor of Clinical Ophthalmology, specializes in oculoplastic surgery with a special interest in aesthetic surgery. 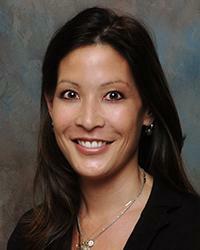 Dr. Lee earned her medical degree from Tulane University School of Medicine. She holds a Bachelor of Arts degree from the University of California at Santa Barbara and a Master of Science degree in physiology from Georgetown University. She completed both her residency and internship at her medical school alma mater, and a fellowship in ophthalmic plastic and reconstructive surgery at the Bascom Palmer Eye Institute. Dr. Lee treats an extraordinarily broad spectrum of oculoplastic disorders, including eyelid cancers, trauma, tearing disorders, eyelid malposition, orbital tumors, and infection and inflammation of the lids and orbit. In addition, Dr. Lee provides the full range of services offered at the Institute’s Aesthetic Center, including blepharoptosis surgery; blepharoplasty of the upper and lower lids; brow and forehead lifts; and non-surgical cosmetic enhancements including Botox treatments, dermal fillers, and photo rejuvenation. She also performs laser skin resurfacing to rejuvenate the face, neck, hands and eyelids. Dr. Lee dedicates time to the teaching of residents and fellows. As well she lectures around the nation on oculoplastic disorders and aesthetic treatments as related to the eye. She has been featured on CNN for her charitable work on patients flown in from other nations and more recently was featured on NBC for a segment on ‘Fraxel of the Eyelids’.